Canada-born Latvian-born hockey player Krista Jip-Chaka received the International Ice Hockey Federation (IIHF) Council authorization to represent the Latvian national women’s national, reports the Latvian Ice Hockey Federation. Currently, 21-year-old Krista Jip Caka last year turned to LHF and expressed her willingness to represent the Latvian female national team. In the spring IIHF application was submitted to Jip-Chaka could play in the world championship under the Latvian flag. As the main argument for playing for Latvia national team Krista Jip-Caka said her roots were from Latvian orgin. Krista is Canadian with Latvian dual nationality, she acquired a Latvian passport on April 14, 2015. 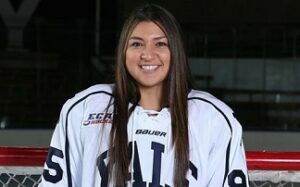 The previous four seasons Krista Jip-Chaka played for National Collegiate Athletic Association (NCAA) Yale University team, which last season she recorded 20 points ( 5+ 15) she was elected captain by her teammates. She was born in Whitby, Ontario, while her mom Liza Preisa once engaged in volleyball and played for University of Cincinnati. Four years ago Krista Jip-Caka was part of the Canadian U-18 list of candidates, as well as becoming the Canadian U-18 Championship winner. Latvian women’s national team in April played at world championship division I Group B and finsh in third place. Three days after the Jokerit – SKA game, the same venue will stage a match from the Finnish League. 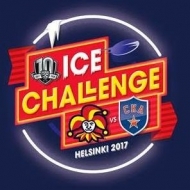 The two games are united under the banner, “Helsinki Ice Challenge,” and surrounding the playing surface will be special stands built to accommodate around 18,000 spectators. A sell-out crowd for this event would set a new attendance record for the League.